I love to find new applications that will make my life on the computer much easier. As I was reading about some new applications, I came across this one that definitely can save some work on my Windows 7 PC. 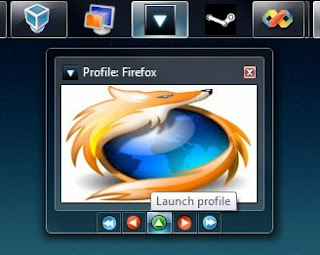 The app is known as the Windows 7APL or the Windows 7 Application Launcher. If you are an Outlook user, or you want to jump in and out of Facebook or any number of other applications, it can be a task that takes a lot of time. Either that or you have a lot of other windows open. Now there is always the option of opening your desired applications when the computer starts up. This however may not be what you are looking to do. Windows 7APL to the rescue. This app lets users open certain applications or groups of applications with just one click. You can group the applications together based on the function and then launch them with just one click of your mouse. If you would rather use your keyboard to work certain keyboard shortcuts, you can set particular keystrokes to help you launch your set of application batches. Let me give you some examples of how this app works. You could create social media group that might include your Facebook app, your Twitter app and maybe your Flickr app. You might create a Microsoft group that might include your Word and Excel programs. Another group could include your Browser apps such as Chrome and Internet Explorer. Remember once you create your group, everything in that group is opened up with a single click of your mouse. This app is found in a zip file so that all you have to do is to extract it. There is a tutorial available on how to set this up at How to Geek. So if you want to make your computer experience a little easier, go ahead and get Windows 7APL. 0 Respones to "The Windows 7APL"